Some of New York’s leaders are expressing outrage over the Republican House of Representatives vote to undo the Affordable Care Act, also known as Obamacare. Gov. Andrew Cuomo has warned for months that the proposed repeal of the ACA would blow a multi-billion-dollar hole in the state budget and potentially cost state and local governments and New York’s hospitals $4.5 billion. Those who get their health care through the New York Exchange, set up under Obamacare, could lose $400 million in tax credits. And 1 million New Yorkers could lose their health care. In a statement shortly after the vote, Cuomo called the vote an “unconscionable” act by “ultraconservatives” that “threatens to tear apart” the health care system. 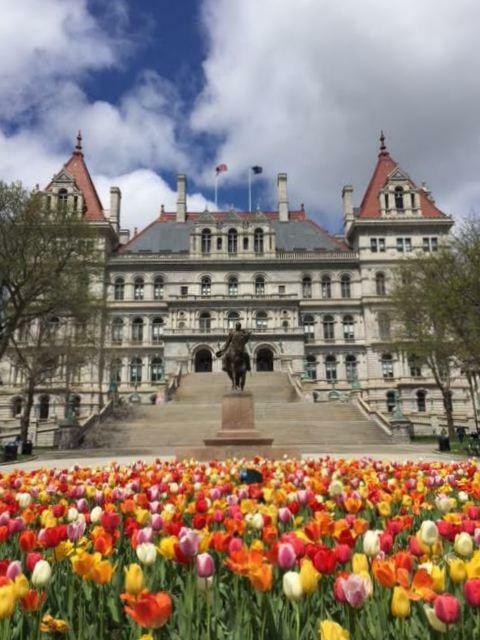 The governor also denounced an amendment sponsored by western New York Rep. Chris Collins and Hudson Valley Rep. John Faso that would require New York state to take over the counties’ costs of Medicaid, worth about $2.3 billion. Cuomo, speaking when the amendment was first proposed in late March, said it’s a “despicable” attempt to buy votes at the “cost of the state of New York” and their own districts, and that he is considering legal action. Meanwhile, Republican members of Congress are defending their vote. Faso said in a statement that the ACA has already “failed” and would “collapse under its own weight if nothing is done.” Faso said his amendment “will bring much-needed property tax relief” and preserve jobs. Left-leaning political groups are incensed. Jessica Wisneski with Citizen Action said GOP congressmen and women from New York who voted for the repeal did the wrong thing. “They completely disregarded the thousands and thousands of constituents who voiced a very clear opinion that they should vote against this bill,” Wisneski said. Wisneski said while one of her group’s purposes is to organize political action, the discontent she’s seeing is bubbling up from ordinary people. The battle now shifts to the U.S. Senate.